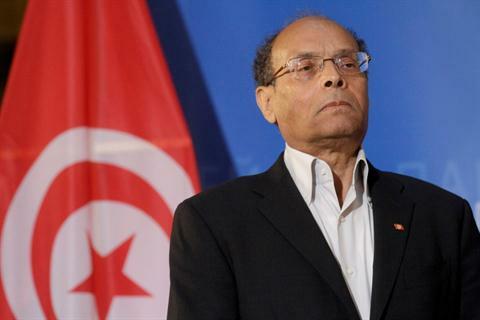 Washington D.C. - Algeria’s Minister of Foreign Affairs Ramtane Lamamra recent statement hailing the Assad’s regime liberation of Aleppo may have just sealed the fate of his country’s relations with the Arab nations of the Gulf. His disregard to the deaths of thousands of women and children at the hands of the Iraqi, Lebanese and Iranian Shiite militias is a sign of an Algerian regime adrift with no clear leadership or policy. Algeria has displayed an extraordinary disregard to the suffering of tens of thousands of defenseless Syrian civilians as it stands with the Russian discriminate shelling of Syrian civilians, declared a prominent figure in the Syrian opposition. Washington D.C. – Algeria’s Minister of Foreign Affairs Ramtane Lamamra recent statement hailing the Assad’s regime liberation of Aleppo may have just sealed the fate of his country’s relations with the Arab nations of the Gulf. His disregard to the deaths of thousands of women and children at the hands of the Iraqi, Lebanese and Iranian Shiite militias is a sign of an Algerian regime adrift with no clear leadership or policy. Algeria has displayed an extraordinary disregard to the suffering of tens of thousands of defenseless Syrian civilians as it stands with the Russian discriminate shelling of Syrian civilians, declared a prominent figure in the Syrian opposition. During a TV appearance, a leader of the Syrian opposition called Lamamra’s comments saluting “the liberation of Aleppo from the hands of the terrorists” as immoral and criminal. While All Arab and Muslim countries must condemn the atrocities committed by some rebel groups namely Jabhat Fatah al-Sham (JFS formerly know as Jabhat al-Nusra) and the so-called Islamic State (ISIS), Algeria’s discount of Assad and Russian’s carnage in Syria while calling all opposition groups terrorists is still inexplicable. It is dangerous for the Algerian foreign minister to claim that terrorist groups had been in control of Aleppo. This Algerian assertion has rattled the political wing of the Syrian opposition since it is in fact the argument that the Russians and Assad have been advancing to justify their onslaught. While JFS run some parts of Aleppo, the city was primarily under the control of assorted groups of the armed opposition unassociated with the terror group. Algerian diplomats and pro-government media outlets are having difficulties distinguishing between the JFS terror group that hijacked the Syrian revolution and the opposition groups who are fighting the Assad regime. While there were terror groups besieged in Aleppo, to paint all fighters in the city as terrorists is simplistic. Actually, the Algerians should learn from the Turks who are fighting ISIS without endorsing the Russian intervention in Syria. 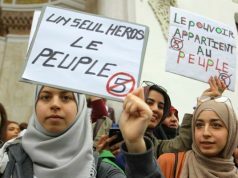 The pro-government website algerie1.com wrote several articles accusing the Weston media in general and the French press in particular of supporting JFS. In what a Syrian opposition figure called the worst type of propaganda, Algeria continues to turn a blind eye to the suffering of the people of Aleppo while drumming up the Russian and Iranian version of events. As Algerians struggle to find their footing in this conflict, European and Arab capitals are taking their distance from Algiers. 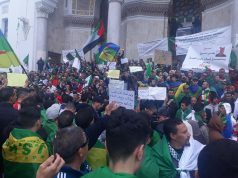 Moreover, the Algerian press has harshly criticized the Saudi, Emirati and Qatari policies in Yemen, Syria and Libya accusing the Arab nations of “supporting and arming terrorist groups.” Such undiplomatic language is not going unnoticed in these capitals where Algeria’s recent political and economic overtures received lukewarm receptions. 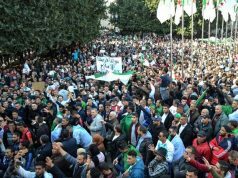 The ailing Algerian diplomacy continues to live in the past calling the civil war in Syria an imperialist plot to control Arab land. Mr. Lamamra remarks are a clear message that his government supports Iran and Assad against the Syrian opposition and Saudi Arabia. 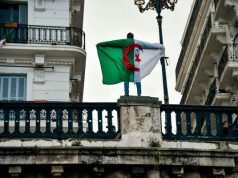 Such position will likely further Algeria’s isolation and economic malaise. Algeria’s ambivalence to the sectarian nature of the war in Syria is objectionable. In fact, it sounds as if Algeria is endorsing Iran and its sectarian proxies’ master plan to extend their religious influence and territorial control in the Middle East by making a military stand in Aleppo. 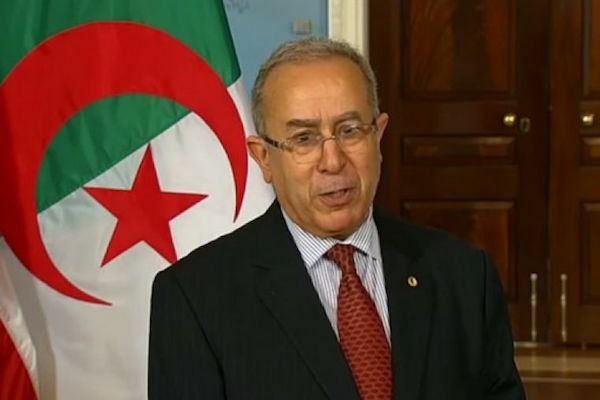 Scenes of dead babies and mutilated women have not moved the Algerian top diplomat. For him the siege of Aleppo is justifiable since the “Syrian state has succeeded in regaining its sovereignty and reconquering the city,” as he stated in an interview. 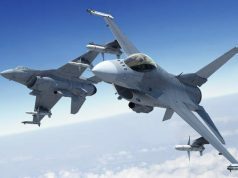 It is a shame to hear an Algerian diplomat describing a military operation led by the Syrian army, Shi’ite militias backed by Russian air power that killed thousands of civilians in Aleppo as a liberation, while ignoring the agony the Syrian people who suffered for years and give up thousands of lives. Algeria can choose to stand by Assad, but to do it while belittling the suffering of the Syrian is a crime.